Ridden and trained in a top, professional yard, this gelding has been successful up to PSG level dressage class. Carlos is a dream ride: He maintains good contact, is nicely ahead of his rider - a horse with real inner confidence but has just the right amount of sparkle and is highly motivated. Carlos is very eager to please and is also particularly easy to handle. 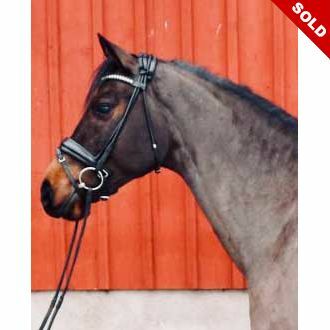 The perfect horse for any riders with dressage ambition. Carlos is also highly suitable for juniors and young riders.